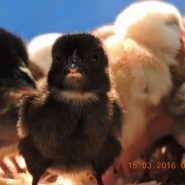 Colombian Black Tail chickens are a good hardy bird laying 300 good sized brown eggs a year. 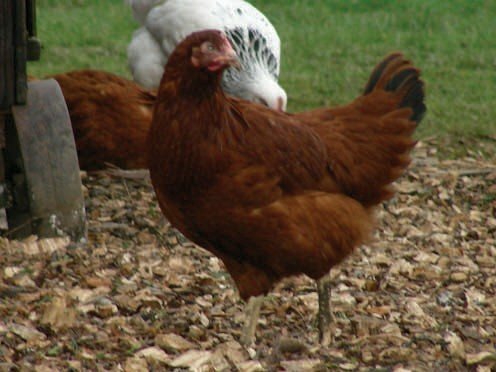 They make excellent free range chickens and have a lovely chestnut red colour. Hardy bird with good second year production. This Rhode Island Red based hybrid is from one of the longest established breeding programmes. 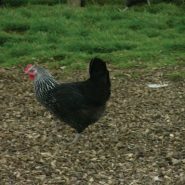 The beautiful chestnut plumage combined with excellent production and feed efficiencies makes this bird a great choice for any system. Continued selection and improvements over decades have made this bird very robust. It has proven successful in some particularly demanding environments. Be the first to review “Columbian Black Tail Chicken” Click here to cancel reply.